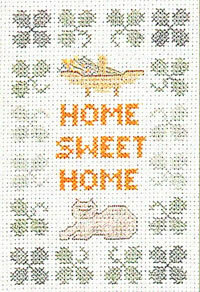 This is a humorous sampler for dog lovers with a scenario which will be familiar to dog owners ! 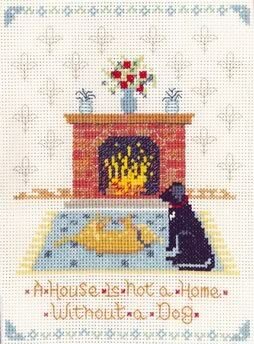 This cosy scenario which will be familiar to dog owners with pooches relaxing in front of a roaring fire ! 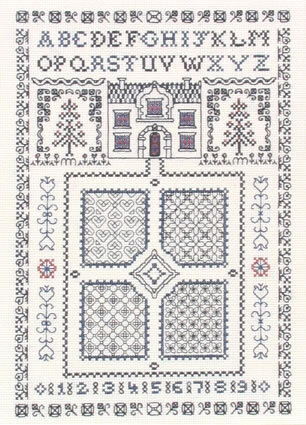 This Dogs Sampler cross stitch kit only the best quality materials ~ Zweigart fabric, DMC thread and a needle. For a personal finish a completion slip adds your name and date to the back of your work. The kit has an punched card holding ready sorted threads for you to stitch away without delay !